There have been many queries about Planet 55 Studios's work on Doctor Who and whether we are doing any more. To date, Planet 55 Studios has completed work on three Doctor Who animated reconstructions for BBC Worldwide's DVD range: The Reign of Terror, The Tenth Planet and most recently The Moonbase. We really enjoyed creating those but they are the only Doctor Who stories Planet 55 Studios have worked on and there are no plans to work on any more. 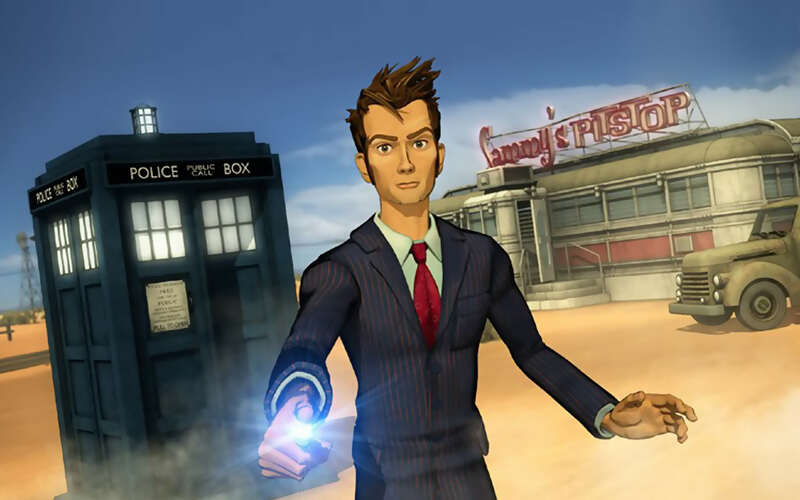 At the moment the company is focused on animation projects completely unconnected to Doctor Who. The release comes as the status of the last expected classic series DVD, The Underwater Menace, remains uncertain. Pup Ltd, the company responsible for the classic Doctor Who range of DVDs over the last few years, have reported that several of the lead creatives involved with the production of the animated episodes of the recently released The Moonbase were absent from the credits due to a technical error. Their involvement was of an important creative level, and was crucial in producing what was both a creative and commercial success for the Classic Doctor Who DVD range. The Moonbase is available now from our Region 1 and Region 2 Amazon shops. BBC Worldwide have released a number of videos to tie in with The Reign of Terror coming out on DVD next Monday. In Animating the Doctor, lead animator Chris Chapman from Planet 55 Studios demonstrates the process of bringing the First Doctor to animated life in his attire as a regional officer from the Provinces. Travelling with the Doctor is a creation by the company of the First Doctor within the TARDIS as he prepares to undertake his travels. Finally, A glimpse inside the First Doctor's TARDIS presents a brief colour animation of the console room as it was imagined during the first season of the show. Matt Smith is to feature on Top Gear as the "star in the reasonably priced car" - recorded last Wednesday, his attempt will appear in the episode due to be broadcast at 8:00pm, 26th February on BBC2/BBCHD. Both of his predecessors have attempted this in the past, with Christopher Eccleston in 2005 (completed in 1:53:4) and David Tennant in 2007 (1:48:8, watch here). The latest Doctor Who crewmember that can be followed on Twitter is James Strong (@jimmystrong); the David Tennant-era director's work has most recently been seen on screen in Law and Order UK and Downton Abbey, and the film United (which also featured Tennant). Big Finish have announced that an online adventure featuring Bernice Summerfield will be available from September. Bernice Summerfield or Benny, is a character originally created by author Paul Cornell as a new companion of the Seventh Doctor in Virgin Publishing's range of original full-length Doctor Who novels. Since 1998 Big Finish Productions have been producing officially licensed audio dramas starring the character. The latest adventure, Dead and Buried, is a 10-minute CGI animated adventure that will be available to view absolutely free of charge. Lisa Bowerman is back playing Benny, who is returning to her roots as an archaeologist – although it isn’t long before she’s being pursued through the ruins of an alien world by a deadly adversary. I’ve created animated trailers for Cyberman and Dalek Empire in the past but this is a much more complicated prospect. John Ainsworth and Eddie Robson have written a cracking yarn which is proving a joy and a challenge to animate. It’s taken weeks of patient construction, animation, rendering and compositing but it doesn’t truly spring to life until Matthew Cochrane’s evocative sound design is added. However it’s still proven more work than any of us imagined, which is why Benny Series 11 has been delayed a month. I hope this will make up for it! There’s a glimpse of what’s to come in the teaser trailer, available at the Big Finish website. The final animation will be available in September, completely free and will lead into the events of Bernice Summerfield 11.1 Resurrecting the Past. The second instalment of Doctor Who: The Adventure Game, will be called Blood of the Cybermen and will be available to download in the UK from Saturday 26th June via the BBC Site. The details were announced at a special press launch in Scotland where writer, Phil Ford, one of the Executive Producers, Charles Cecil and voice of the Cybermen and Daleks, Nick Briggs, answered questions from around the country. Two script extracts are available from the official site. 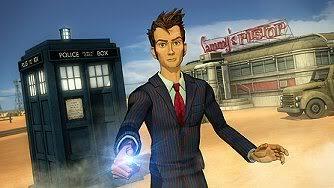 The first part of the Adventure was released earlier in the month and has been downloaded over half a million times. 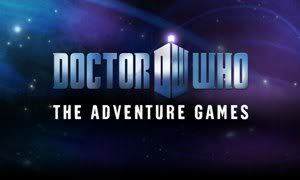 Details of the second instalment of Doctor Who: The Adventure Game will be released at a special event next Tuesday. Lead writer and Executive Producer Steven Moffat will join Nicholas Briggs, voice of the Daleks and Cybermen, at a special Question and Answer event being held at Gavinburn Primary School in West Dunbartonshire, Scotland. The duo will take Questions from pupils at the school at the event which takes place at 10am. Other schools in Scotland can participate via the Glow Scotland site. A further Question and answer session with the Doctor Who team will take place in the afternoon and will be streamed on the BBC Website. 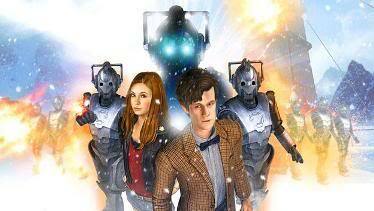 The second game in the series is set in the Arctic and features an army of Cybermen. The BBC Press Office have released information on the number of viewers that have used the red button facility on digital television, and revealed that the animated adventure Dreamland was watched by almost one million people. John Denton, Managing Editor, BBC Red Button, said: "This year has proven that audiences love choice and enjoy the extra interactivity that the red button service can provide and we're pleased that, as UK television becomes fully digital, we've been able to take this incredible performance to even more viewers." "Traditional" broadcasting ratings are reported here.